I needed a room on the first floor and they help me make that happen. LaQ always has a similar breakfast, but this one seemed better than others. It was clean and well maintained, food was tasty. The beds were comfortable and the pillows were standard size and plentiful. Checking out was fast and easy, breakfast was great. The hotel and room were extremely clean. The bed was very comfy. The breakfast hot and fresh. Staff was friendly and helpful. The room was clean, and the lobby area clean and decorated nicely. The bed was exceptionally comfortable. Breakfast was hot, fresh and hit the spot! Checkout was fast and they even gave us bottles of water for the trip home! Room was nice and unusually quiet for the location. Staff was friendly and helpful. Breakfast was better than expected. All staff was very pleasant, clean room, comfortable bed, & good breakfast. Excellent value - I would stay there again. 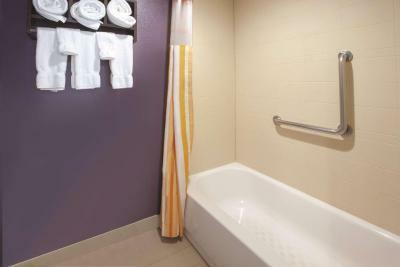 La Quinta by Wyndham New Cumberland - Harrisburg This rating is a reflection of how the property compares to the industry standard when it comes to price, facilities and services available. It's based on a self-evaluation by the property. Use this rating to help choose your stay! 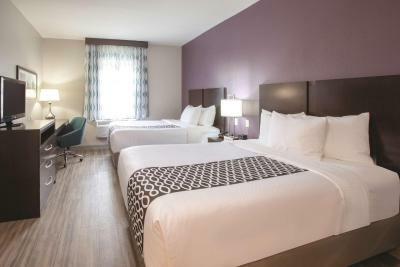 The New Cumberland Hotel is located with easy access to the Pennsylvania Turnpike (Interstate 76) and Interstate 83. 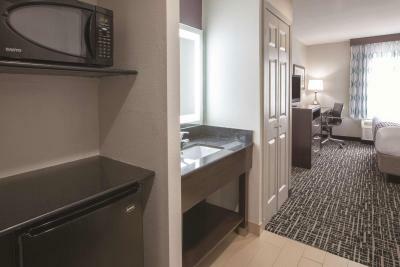 Guests can enjoy amenities, including: Free wired and wireless Internet access, Free newspaper, Free local calls, Free coffee and tea in the lobby. 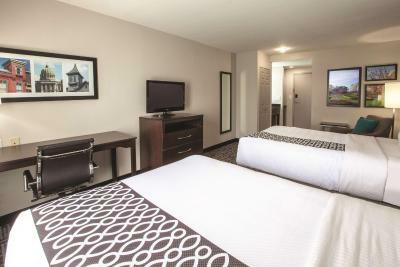 All guest rooms include coffee makers, hair dryers, irons, ironing boards and comfortable beds. Some rooms feature microwaves and refrigerators. The hotel also features a seasonal outdoor heated pool. Morning Breakfast features eggs, meat, yogurt, fresh fruit, cereal and more, including a choice of hot waffle flavors. A variety of restaurants and cocktail lounges can be found in the surrounding area. This hotel provides business travelers with modern conveniences, including a business center and access to copy and fax services. Some rooms feature spacious work desks. The Harrisburg East Mall and Defense Distribution Center (DDC) are less than four miles away. Popular attractions, including Ski Roundtop and Hersheypark, are less than 15 miles from this hotel. Gettysburg National Military Park is 30 miles away. 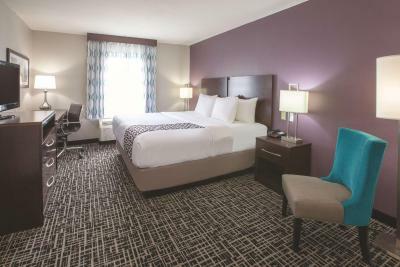 This hotel is 15 miles from the Harrisburg International Airport. The Pennsylvania Farm Show Complex and downtown Harrisburg are seven miles away. This property also has one of the top-rated locations in New Cumberland! Guests are happier about it compared to other properties in the area. This property is also rated for the best value in New Cumberland! Guests are getting more for their money when compared to other properties in this city. 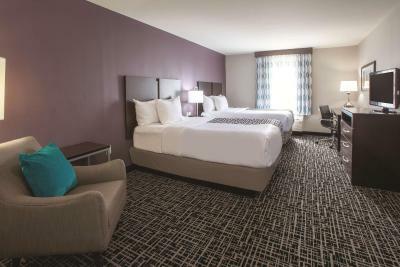 When would you like to stay at La Quinta by Wyndham New Cumberland - Harrisburg? 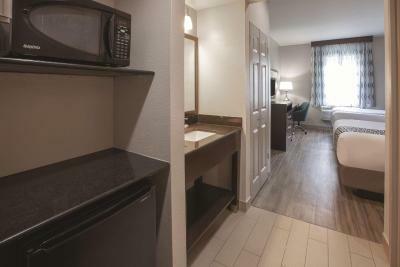 This quadruple room features a microwave, flat-screen TV and air conditioning. This triple room has air conditioning and microwave. 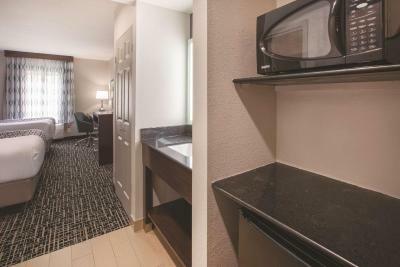 This quadruple room features a microwave and air conditioning. 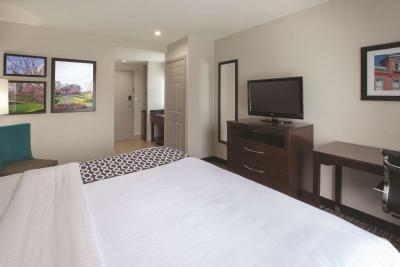 House Rules La Quinta by Wyndham New Cumberland - Harrisburg takes special requests – add in the next step! La Quinta by Wyndham New Cumberland - Harrisburg accepts these cards and reserves the right to temporarily hold an amount prior to arrival. All the kids channels for my son. housekeeping is addressing the issues. The floors needed some work. Didn’t have wash cloths or towels on the 3rd night (didn’t get back to hotel until 11:30 and went straight to bed. Got up early to realize no towels or wash cloths. The sheets were stained, house keeping appeared annoyed with guest. I didn't like that if something happened to the room they will automatically charge your card $250.00. We didn't cause any damages but that still was a lot. I liked that it's close to the highway and the breakfast was pretty good, and the rooms were very clean. The bed was also comfortable i had a king size suite the room was spacious and there was cable tv.